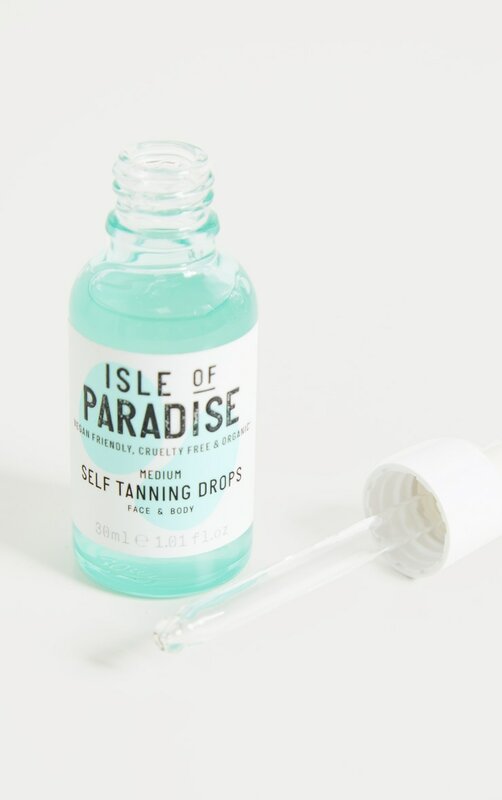 Self-tanning water with colour correcting actives + a green base for a natural, golden glow with no streaks, no smells or orange tones. Whether that's for the beach or brunch, we've got you babe. Formulated with Superbalance Complex to reduce redness, calm the skin and improve your karma. Aqua (Water), Propylene Glycol, Dihydroxyacetone, Glycerin, Ethoxydiglycol, PEG-40 Hydrogenated Castor Oil, Erythrulose, Glycereth-26, Agastache Mexicana Flower/Leaf/Stem Extract, Aloe Barbadensis Extract*, Citrus Grandis (Grapefruit) Peel Oil*, Cocos Nucifera (Coconut) Oil*, Eucalyptus Globulus Leaf Oil*, Mentha Piperita (Peppermint) Oil*, Persea Gratissima (Avocado) Oil*, Salvia Hispanica Seed Oil*, Salvia Officinalis (Sage) Oil*, Methoxyphenyl t-Butylphenyl Propanediol, Tropaeolum Majus Flower/Leaf/Stem Extract, Panthenol, Ascorbic Acid, Ethylhexylglycerin, Propanediol, Sodium Benzotriazolyl Butylphenol Sulfonate, Tris (Tetramethylhydroxypiperidinol) Citrate, Parfum (Fragrance), Sodium Metabisulfite, Phenoxyethanol, Triethylene Glycol, CI 19140 (FD&C Yellow No.5), CI 42090 (FD&C Blue No.1), CI 16035 (FD&C Red No.40). Add 1-12 drops to your favourite moisturiser, mix together & apply to skin. 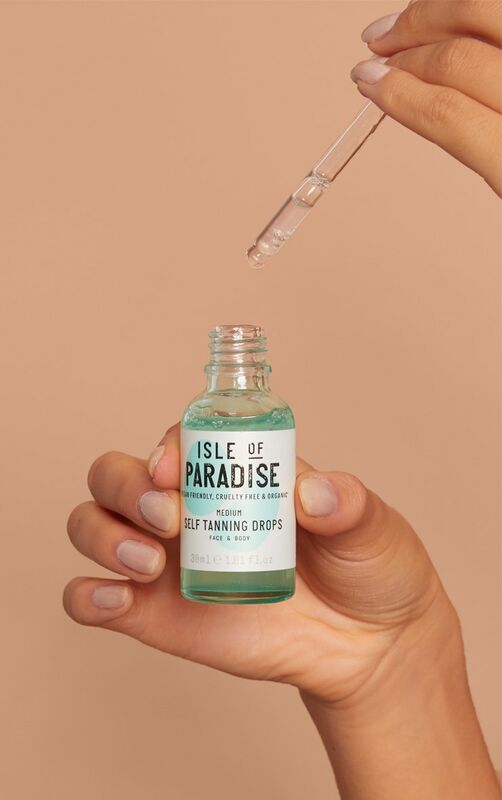 More drops = deeper tan.